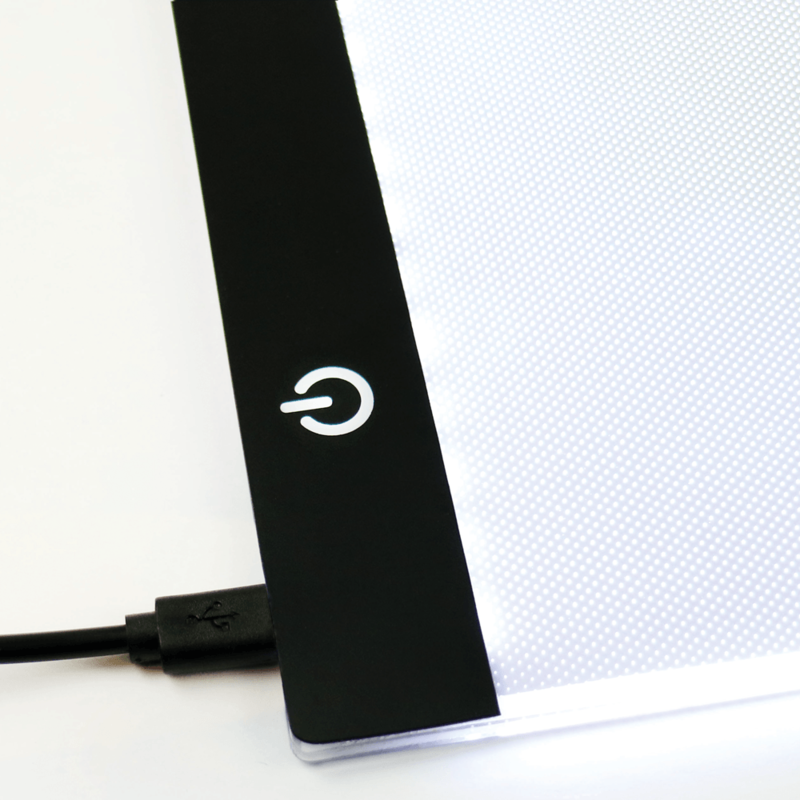 In a handy lightweight and compact design, the Kit ‘N’ Caboodle LED Light Board is a portable board that allows you to craft anywhere! Thanks to its powerful LED lighting, you can use paper and plain super-smooth cardstock up to 350gsm on this board and still clearly see fine details. This incredible board features 3 brightness settings, with an adjustable intelligent touch control. To use this board, simply place your chosen cardstock on the Light Board and push the power button until you reach your required brighteness, and then get crafting! It couldnt be easier! 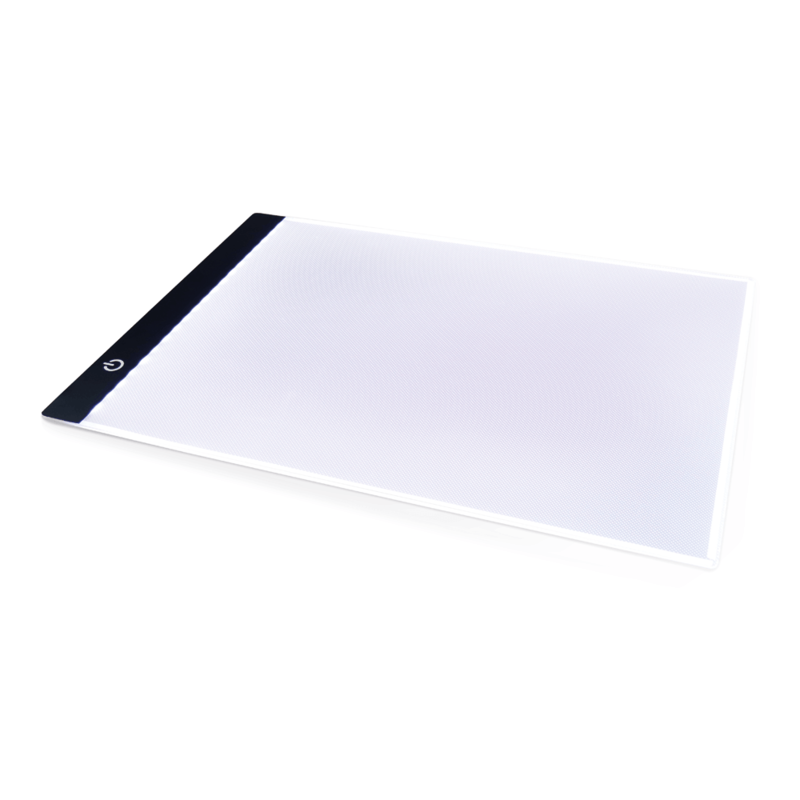 This durable acrylic board uses a Micro USB interface which you can either plug directly into a USB port or into an adaptor for household mains power use. Although it’s a great work-surface for papercrafting, this board can also be used for applique, quilting, embossing, and more.